Great Midweek Winter Deal going at One Panama. $450 for 3 nights/2 guests including a $60 meal voucher for Adam Newell's Union Square Bistro and Bar. One Panama is a beautifully restored 1920s two-bedroom Californian bungalow, situated on a large quarter acre section within a two-minute walk to Martinborough's boutique shops, cafes and restaurants. 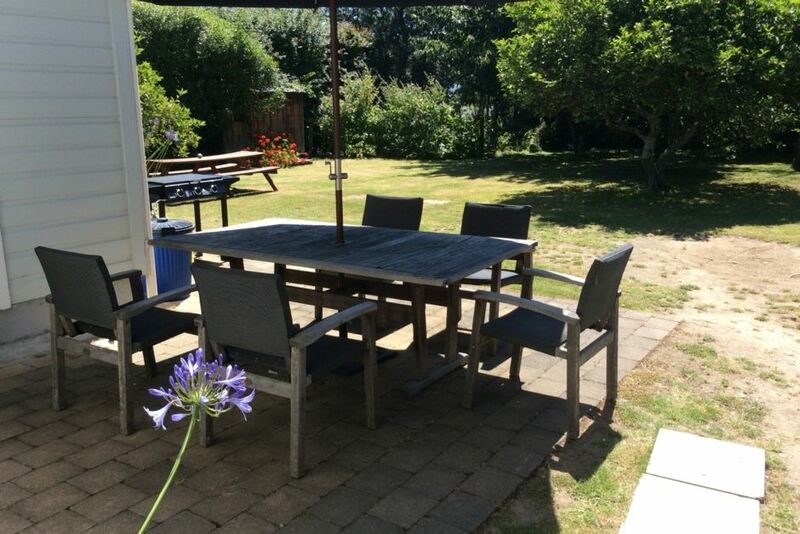 Totally self-contained with spacious fully equipped kitchen with coffee machine, two queen-size bedrooms, separate dining room, cosy lounge with woodburner, Sky TV (inc movie and sport channels), My Sky, BBQ area, free Wi-Fi, and use of 2 bikes. Wonderfully warm in winter, with open fireplace and all firewood supplied. Setup continental breakfast provisions, including cereals, bread, eggs, accompanied by jams and honey, a selection of Twinings teas and quality plunger coffee. Note - Any extra guests who stay just one night are $80 each. - Special rates and packages apply to Special Event weekends. - 3 night minimum stay for Long Weekends. - 4 night minimum stay for Easter. - Toast package is $1600 for 3 nights for up to 6 adults. * 3 night minimum stays over Dec/Jan holidays and Easter. * 3 night minimum stay over other long weekends..
* Deals can't be combined. * Special Event rates apply to Toast Martinborough, Concerts and other major events. Loved our time at One Panama. Extra touches made us feel welcome in this well presented little bungalow, close to all that Martinborough had to offer. Our only complaint was the inclement weather which did not allow us to enjoy riding the bikes provided, but did provide the opportunity to relax in front of the cosy fire. Quiet location ensured a very comfortable night's sleep. Great to hear you had a great time. Sorry about the weather. Many thanks. Fantastic location and beautifully presented. Fantastic location and beautifully presented. Lovely touches like bottle of wine and continental breakfast. Wonderful location, so close to the village shops and vineyards! Cosy property with many little extras. Cosy property with many little extras. We had a great time and really appreciated the open fire. The house is spacious, clean, comfortable and well looked after with everything you would need for a holiday. Great location. The extras provided were a great touch. Would stay again.